I have a bachelor degree from University of Louisville Business school in 2002 and a bachelor in Accounting from Egypt Cairo University. 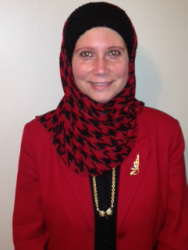 I have been working at the Islamic School of Louisville since 2004. I love interacting with children and working at the Islamic School of Louisville. I enjoy reading in my free time and traveling with my husband.